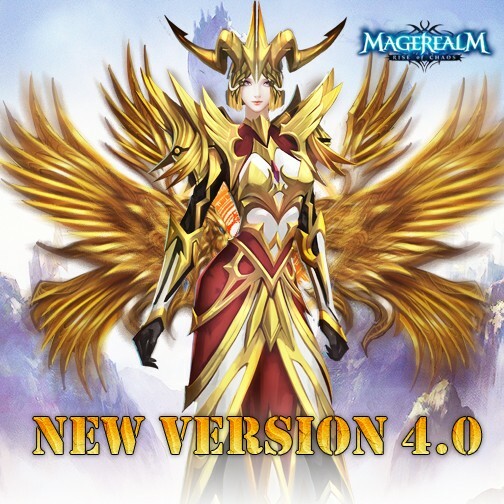 Magerealm, the free to play browser MMORPG from developer GTArcade, has released a new update V4.0 that introduces two amazing sets of equipment and new wings for player characters. Character Level 90-100 has been unlocked. Each set provides a stunning new appearance that will have your enemies frozen in awe as you crush them beneath your shiny new boots. A new set of noble Wings has been granted by the Angels to the champions of Magerealm! The free to play MMORPG is happy to unveal the gorgeous Avalon wings. Log in to Magerealm today and grab your own Avalon wings and wear them with the pride of kings! The bug that Elder Shaman heals both enemies and player party has been fixed. What do you think of the new update V4.0? Let us know on the forums, and follow Magerealm on Facebook and visit the official forums to get the latest news and participate in rewarding events. Come experience an epic fantasy world of magic in this free to play action MMORPG!